Most of the time I try to make my blog posts fairly positive. Even in my posts that deal with very serious topics, I try to provide some beacon of hope for my readers. However, I will warn you in advance that today’s post is not going to be like that. Today’s post is probably going to be full of angry vitriol & general disgust at a phenomenon that I truly believe is doing irrefutable harm in our culture. That phenomenon is lavish, over-the-top weddings. 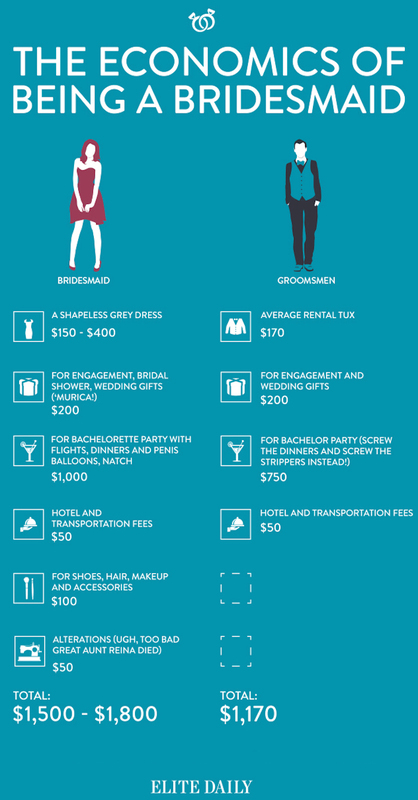 I just read this article (http://elitedaily.com/women/unbelievably-expensive-bridesmaid/908889/) last week & I was horrified, although not that surprised, to read that the average bridesmaid spends $1500-$1800 on each wedding in which she participates! Ladies, this is insane!!! I have only been a bridesmaid once so far, & that was just this past Fall when I was a bridesmaid in my own maid of honor’s wedding. Because the wedding was in New England I actually did spend probably close to a grand on the wedding between airplane tickets for myself & my husband & a hotel for the three nights we were there (thankfully the bride negotiated a great deal for wedding party members at a really nice B&B). However, my husband & I also got somewhat of a mini vacation out of the trip because we had four days to explore Boston, a city neither of us had ever visited before. Obviously some of our time was taken up with wedding festivities, but we also had quite a bit of free time to explore the city & just be tourists, which was awesome. My friend had been a bridesmaid at least four times prior to her own wedding so she was well aware of how expensive these affairs can be for bridesmaids. Knowing this, she deliberately chose (with our input) a very reusable & reasonably priced dress. The earrings we wore were our bridesmaid gift from her, & we got to pick our own gold shoes in whatever style we wanted. I didn’t have a pair of gold shoes, but I found a gorgeous & very reusable pair at Rack Room for less than $20. The bride gave us the option of doing our own hair or going to the salon with her. I chose to do my own hair & we all helped each other with make-up. We did get pedicures together but this was also very reasonably priced (& was by far the best pedicure I’ve ever had in my life). We threw her a very simple but enjoyable bachelorette party the Friday night before the wedding (which was on a Sunday). All in all, being a bridesmaid for my friend was not a financial strain for me & I daresay it wasn’t for any of the other girls either. And it was a lot of fun too. I for one feel incredibly lucky to know that all of my remaining friends who might ask me to be bridesmaids in the future are just as practical & realistic, so I can trust that they too will take my finances into consideration when planning their weddings. 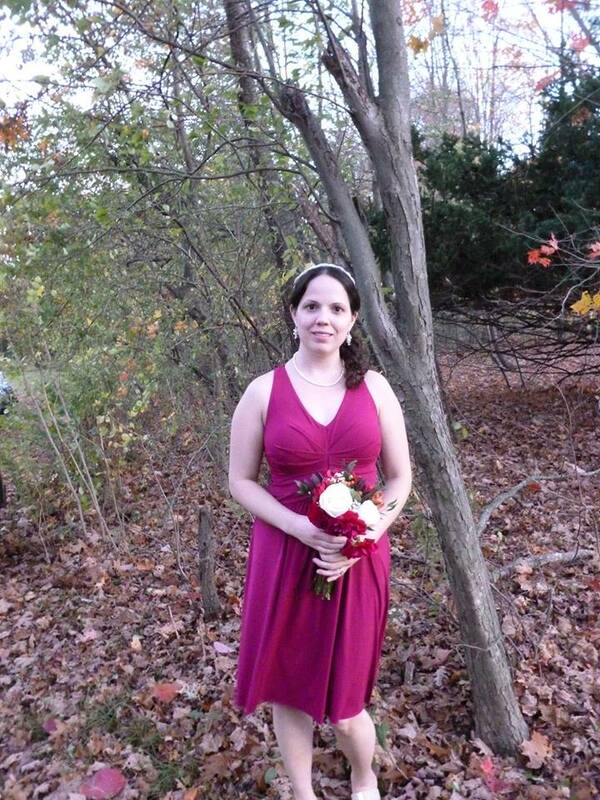 This is me as a bridesmaid in my college roommate’s wedding this past Fall. We got the dresses from Ann Taylor. I got the headband at WalMart, the shoes at Rack Room, & the earrings were a gift from the bride. She also loaned me the necklace. I did my own hair & make-up. When I had my own wedding, two of my bridesmaids, like me, had just graduated from college & the third girl had one more year of college left. Needless to say we were all on a tight budget at that point in our lives. Knowing this, together we chose a very reusable & reasonably priced dress, & we agreed on silver shoes in any style they desired since these are easy to find & can definitely be used again for other occasions. They could wear whatever jewelry they chose & only the maid of honor got her hair professionally done with me. We both went to the same local salon & paid, I think, $40 each for our hair. We all did our own make-up with assistance from a friend. My bachelorette party was a trip to the natural hot springs in Bath County, Virginia the Saturday before the wedding, so needless to say that was a cheap but very fun trip. One of my bridesmaids couldn’t come because she had to work. We missed her but I didn’t throw a fit because that’s just real life. I had only one wedding shower which my maid of honor couldn’t attend because she was in Boston that weekend. No big deal. I did not have an engagement party with my friends or family. The idea never even occurred to me because I was too busy finishing up nursing school, studying for the NCLEX, & then learning to become a real nurse. 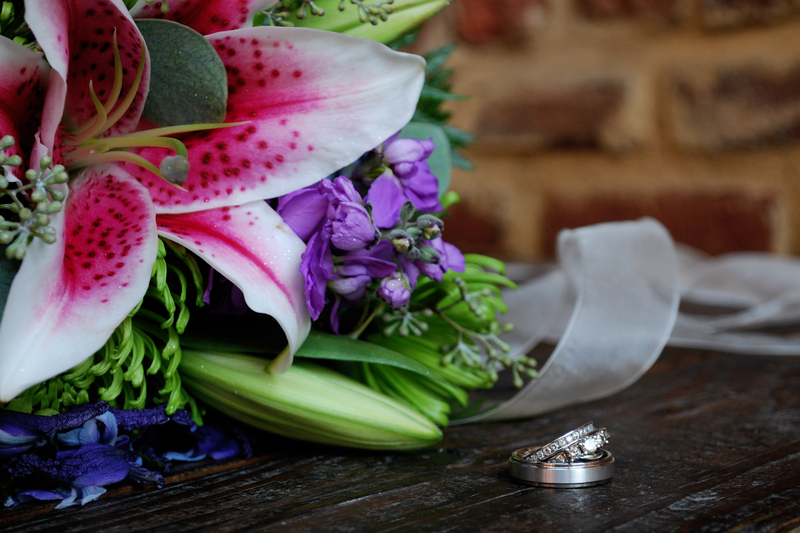 Our wedding rings with my bouquet, designed by the florist my husband worked for in high school . Photo by Triskay Photography. 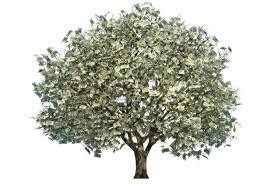 Brides, please remember that money does NOT grow on trees for your bridesmaids. There is no doubt in my mind that who you choose to marry is the most important decision of your life. But this is equally true for both men & women. And we don’t see (most) men spending thousands of dollars on their friends’ weddings! Yes, weddings can & should be fun. But they do NOT have to be elaborate & financially burdensome for everyone involved. If you & your friends are all pulling in 6-figures a year, feel free to have a lavish bachelorette party & wedding. Otherwise, show a little restraint, not to mention a little respect for your friends’ wallets, & tone things down a bit. (If someone is a close enough friend to be your bridesmaid, you ought to have a pretty good idea of how her finances stand.) 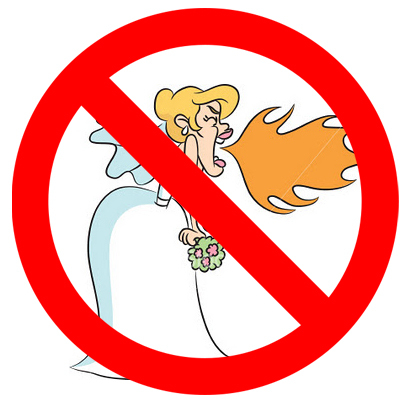 Your marriage will not suffer if you don’t have a wedding that is so perfect it could be featured in a magazine. When the day is over, the only thing, the ONLY THING, that matters is the man (or woman) to whom you say “I do.” THAT IS IT. If you want to get real down & dirty, consider that several research studies have actually shown that the more money a couple spends on their wedding, the greater their chances of divorce. (The same is true for how much a man spends on an engagement ring, but that’s a whole other blog post right there.) Honestly, I don’t find this surprising at all. Like I said before, if you or your family truly has the money to pull off a $50,000 wedding, by all means, go ahead. But if you’re a normal bloke like most of us, please do yourself & your friends a favor & remember that this is just ONE day in the course of your lifetime. Is it an important day? Absolutely. But going into debt over it, or asking your friends to do the same in order to be part of it, is just ludicrous! Many people have told me that I was the most relaxed bride they ever saw. I think this is because I married the man I’d been dating since high school so there was truly no doubt in my mind that he was the right man for me. Furthermore, we had been living together intermittently for several years, so I already knew we could stand living together in close quarters. We were also familiar with each other’s families from years of shared holidays, so really there was nothing to worry about. I’ll never forget going to Bed, Bath, & Beyond to sign up for our wedding registry & being absolutely overwhelmed by how I was expected to pick out potential gifts for us. I felt like there were 100 different options for every conceivable household item. I was still in nursing school at the time, so I couldn’t stop myself from thinking “Who cares? I have more important things to worry about right now.” I felt the same way when the florist asked me what kind of flowers I wanted. I was able to come up with a few basic ideas & from there I just trusted her to work her magic. And guess what: our flowers turned out beautifully! When it came to wedding favors & decorating the church, I knew these were things hardly anyone was going to notice anyway, so I just let my mom pick out things she thought were nice. And everything turned out just fine! Instead of hiring professional musicians, we had a family friend play the piano & a cousin of mine play the violin. And they were awesome! We also just used my computer at the reception instead of hiring a professional DJ. 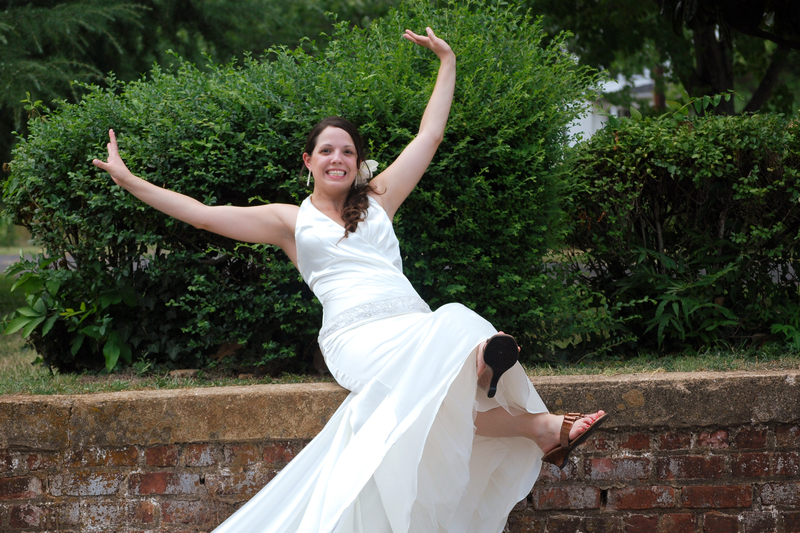 Every bride needs at least one silly wedding picture, right? I thought so. 🙂 Photo by Triskay Photography. The point of all this, ladies, is that if we want to be treated like the equals we know we are, we have to stop acting like getting married gives us the right to act like some spoiled princess. It doesn’t. Get over yourself. End of story. Love the computer instead of a dj idea. And may I second your request to stop the insanity. I spent more money on my 30th birthday party than I did on my wedding :-).